Welcome to Jaguar Austin, a premier Jaguar dealership in Austin, Texas serving Lake Travis TX, Hill Country TX, Round Rock TX, Cedar Park TX, and Bee Cave, TX. We have an extensive selection of new 2019 Jaguar vehicles along with a variety of luxury pre-owned vehicles available at competitive prices. We strive to provide immaculate service to everyone that visits our dealership. If you’re in search of Jaguar auto parts or need to schedule maintenance for an existing vehicle, you can count on receiving impeccable treatment from our dedicated staff. Jaguar Austin has the following new 2019 Jaguar models available: XE, XF, F-TYPE, and F-PACE. Take some time and check out our extensive inventory to find a car that catches your interest. To arrange a test drive call 888-378-3841 and we’ll have your chosen vehicle ready to drive when you arrive at the dealership. We have competitive finance and lease options that make it easy to drive a new Jaguar. 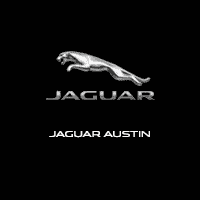 Jaguar Austin is located at 1515 W 5th Street, Austin, TX 78703. Visit us today to purchase your new Jaguar or next luxury used vehicle. We look forward to meeting you and providing an exceptional automobile buying experience!